You – our clients past, present and future – have recently told us a good deal about how you view these disciplines, how you deploy them, how you set about improving them, and what else you need. So, thank you if you’ve participated in our research, in a productivity project or a new programme pilot. Read our short booklet that we hope will prove enlightening and feel free to take a minute to have a look below at some developments from our world that might help you in yours. See how we’re working with a client, deploying our SPIN® Selling Suite for its entire UK sales force, to measure the impact the training and reinforcement is having on its behaviour and its financial performance. In a series of blogs we have been sharing the project outcomes. Be amongst one of the first to take a look at some of the key findings from our 2014 global research project on Negotiation Skills, shared in a recent article, shining some new light on our observation-based behavioural models, and proving that while the type of negotiation people carry out nowadays is changing, the majority still find it hard to avoid the common traps that can undermine their case. Clients and many other people told us that they wanted a better behavioural palette to deploy in all kinds of settings, besides the buyer-seller relationship. We listened and have developed a new programme – for use on in-company projects or by individual Open delegates. Read a blog here. 2014 was Huthwaite International’s 40th anniversary year, and it was a busy one – we delivered training in 72 countries and in 23 languages. What about the next 40? Between now and the middle of the 21st Century there will be changes that we currently have no idea about, and others at which we can make educated guesses. New and currently unconceived incarnations of mobile technology, the ascendancy of companies that haven’t even been founded yet, and the fast growth of now small national economies are almost inevitable. All of these will change the ways businesses like yours behave, and how you achieve full effectiveness. If we are to be a trusted adviser – not just a training provider – to help you succeed in such a world, we have to think the way you think and work the way you work. 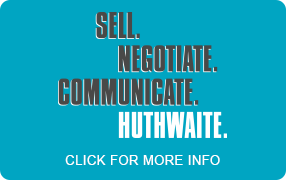 Read about the Huthwaite and you journey. Follow our campaign using #SNCHuthwaite. Follow our blogs here. Join our twitter following here, above all, become part of the myHuthwaite client community here.